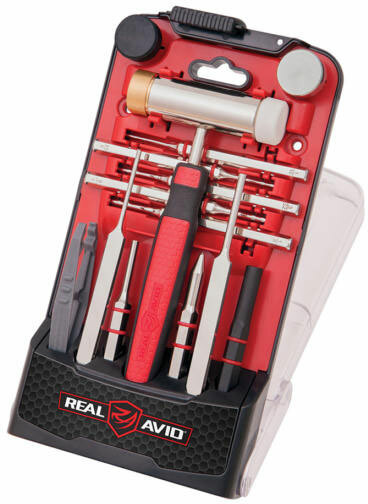 This advanced kit includes every standard and roll pin punch needed to build or work on an AR15. A perfectly balanced hammer along with our proprietary pin alignment tool makes starting tiny pins easy and accurate. All in a modern stand-up case. A remarkably frustration free experience ï¿½ even for sausage fingers. Standard pin punch 3/32", 1/8", 5/32"
Roll pin punch 1/16", 5/64", 1/8"